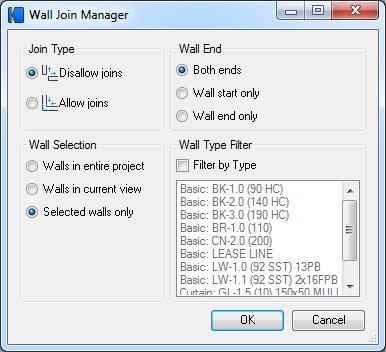 "Krisp Wall Join Manager provides a way to allow (or disallow) wall joins on many walls at once. "The wall join status can be applied to one end or both ends, to all walls in the entire project or all walls in the current view. You can also select to only apply changes to walls of specified types."